In Northern Nigeria, vaccines are often unavailable at health facilities due to irregular deliveries. There are no systems in place to track inventory and movement of commodities between facilities and state cold stores. This has led to substantial stock outs of vaccines at last- mile health facilities and consequently, the inability of children under the age of one to access routine immunization services. In 2013, eHealth Africa developed a logistics platform, LoMIS, to transport vaccines and dry goods from the state cold store to health facilities at the ward level that are equipped with cold chain storage facilities. The project was launched in Kano in 2014 and in Bauchi and Sokoto in 2015. 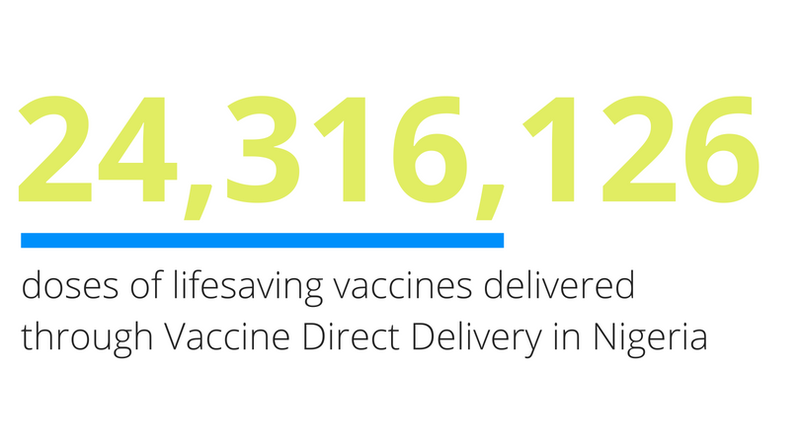 Following its success in the pilot LGAs of Bauchi State this year, the implementation of Vaccine Direct Delivery was scaled up to include an additional 148 health facilities in the northern clusters of Bauchi State. The Kano State Primary Health Care Management Board renovation project provides the right facilities for staff to deliver crucial primary health care interventions across Kano State. eHealth Africa (eHA) is finalizing a project with the Executive Secretary (ES) of the Kano State Primary Health Care Management Board (KSPHCMB), Dr. Muhammed Nasir Mahmoud, to renovate and upgrade the KSPHCMB’s Offices in Kano, Nigeria. eHA worked for one month with the KSPHCMB to renovate the building and outside areas. Internet, solar panels, electricity and other facilities were added to provide a better work environment for the Executive Secretary and over 50 staff working for the KSPHCMB. “I believe if one has a conducive environment to work in with the right equipment, tools, and facilities, there should be no reason for people not to work effectively,” said Dr. Mahmoud. Dr. Mahmoud, has been in the role for over six months, and has seen a real difference in how stakeholders and visitors now see the board’s work through the building’s renovations. He manages the day to day activities of the KSPHCMB, and also oversees the activities of 1,143 Healthcare Facilities in 44 Local Government Areas of Kano State. The renovation project is one component of the joint work and long term partnership between eHA and the KSPHCMB to improve primary health care in Kano State. Kano State has many challenges in health care delivery because of security issues and physical challenges in reaching remote locations. This results in the most vulnerable segments of society falling severely ill with preventable and treatable diseases including malaria, tapeworms, ulcers and diarrhea. Collaboration projects between eHA and KSPHCMB include the management and coordination of immunizations across the state, a health communication system (Kano Connect), management of Emergency Operation Centers, Geographic Information Systems (GIS) tracking, and the implementation of Health Camps linked to monthly Immunization Plus Day (IPD) campaigns. Another collaboration is Vaccine Direct Delivery, which takes vaccines from KSPHCMB cold stores and directly delivers them to rural health facilities.